On the surface, it’s an unlikely match: “I’m a 36-year-old African-American musician with a big beard, and he’s a middle-aged white guy who owns a bank,” says Brian Owens, founder and CEO of L.I.F.E. Cultural and Performing Arts, of his friendship with Sterling Bank founder and chairman Ken Poteet. The Sterling Bank for L.I.F.E. Community Partnership is a new, recently formed entity, specifically geared to leadership development through music, art and technology. (The acronym stands for Leadership, Innovation, Faith and Excellence). Owens says his friendship with Poteet is born of strong faith and a commitment to common ideals. They both believe in community, and are changing the lives of St. Louis area youth. Owens says they use music in different ways for the various L.I.F.E. programs, which are either already in existence at area middle and high schools, or planned for the near future. For example, an eight-week therapeutic songwriting program at Confluence Academy-Old North helps middle-schoolers who have suffered the effects of urban trauma; the Remix Project forms high school ensembles that uniquely combine different music styles. (Earlier this year, the Remix Project Ensemble debuted at Peabody Opera House before an audience of more than 3,000 people). 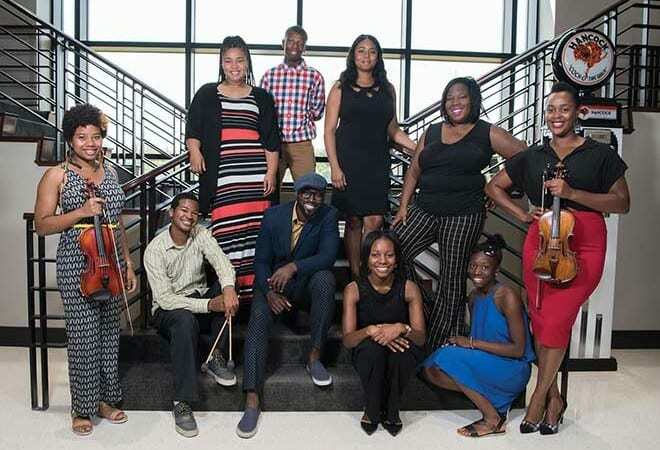 And in 2017, in partnership with the St. Louis Symphony Education Department and Youth Orchestra, a concert compiled of both the Remix and songwriting projects will take place (location to be determined). Poteet says he wants no applause for the bank’s financial involvement with L.I.F.E., and stresses that his friendship with Owens has never had anything to do with the monetary support (now in the six-figure range) the bank provides. “All I saw was a good, faith-based person doing the same things that are important to me—building relationships and community one person at a time,” Poteet recalls. “I call us ‘the odd couple,’ but we truly see each other and understand our different cultures.” He adds that Sterling Bank has a history of involvement in community partnerships. For the past two years—again with financial backing from Sterling—Owens organized an outdoor concert on the parking lot of Ferguson Heights Church of Christ. The concert, he says, combined music of all styles in representation of L.I.F.E.’s overall philosophy of integration and cultural cross-pollination. Last year, the concert included music like hip-hop, R&B, opera and Japanese soul, and was filmed for a PBS special called ‘Soul of Ferguson.’ Another event this fall is in the early planning stages. Sterling Bank for L.I.F.E. is a creative community partnership committed to enriching the lives of St. Louis area youth through music, art and technology. For more information on programs, contact Brian Owens at brianowenstv@gmail.com. 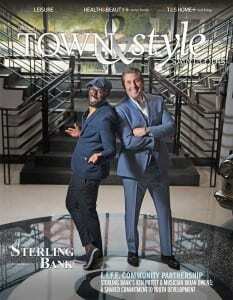 Pictured on the cover: Brian Owens and Ken Poteet, Sterling Bank Chairman & CEO.